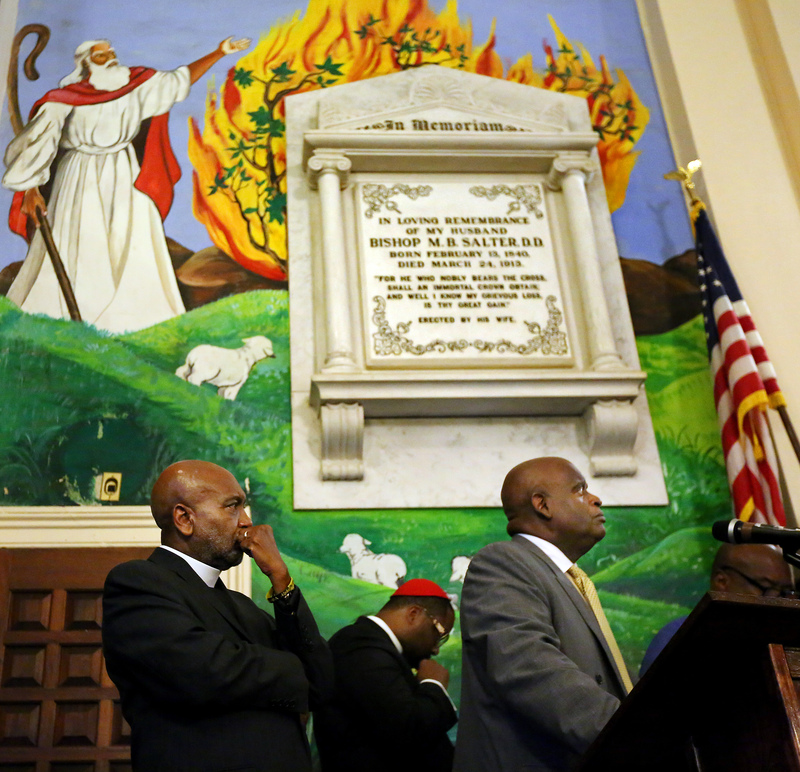 South Carolina Church Massacre: Hate Crime or Terrorism? Shooters of Color Are Called ‘Terrorists’ and ‘Thugs.’ Why are White Shooters Called ‘Mentally Ill’? One of the most egregious terrorist acts in U.S. history was committed against a black church in Birmingham, Ala., in 1963. Four girls were killed when members of the KKK bombed the 16th Street Baptist Church, a tragedy that ignited the Civil Rights Movement. U.S. media practice a different policy when covering crimes involving African Americans and Muslims. As suspects, they are quickly characterized as terrorists and thugs, motivated by evil intent instead of external injustices…. President Barack Obama, who once again employed the careful language he only reserves for public statements on white pathology, did not once say that this was an act of domestic terrorism. He did not once call Roof a thug as he skimmed over the United States’ history of violence against African American churches. He chose to focus instead on an election-cycle statement about gun reform. He quoted a race neutral message by Dr. Martin Luther King, Jr., whose mother Alberta Williams King was assassinated in Ebenezer Baptist Church in 1974, while failing to mention that the United States, with its investment in white supremacy, was complicit in the Mother Emanuel massacre. If it wasn’t a gun, it would have been a bomb; if it wasn’t a bomb, it would have been arson. We are a nation sick with racism, refusing to seek comprehensive treatment, and black people are disproportionately suffering because of it. Enough racial hatred. Enough gun violence…. Since 2012 alone, America has lurched from one mass shooting to another. A dozen people gunned down at a Batman movie in Colorado. Six shot outside a Sikh temple in Wisconsin. And 20 young children, along with six adults, slaughtered at an elementary school in Newtown, Conn. In Charleston, the nine victims ranged in ages from 26 to 87. Among them were a librarian and several pastors, including the Rev. Clementa Pinckney, an accomplished politician and civil rights leader…. The broader problem — more entrenched, more pernicious and more likely to eat away at the nation — is the racial animosity that still lurks in some quarters. African Americans have suffered its sting often in recent events. A series of unarmed black men, including one in North Charleston, S.C., have been killed by white police officers. And many African Americans have come to believe, a half-century after the civil rights movement took hold, that black lives still do not matter. The horrible tragedy last night that left nine people dead at the Emanuel African Methodist Episcopal Church in Charleston, S.C., probably could have been avoided. Like so many other attacks, the massacre took place in a gun-free zone, a place where the general public was banned from having guns. The gun-free zone obviously didn’t stop the killer from bringing a gun into the church. Indeed, the circumstantial evidence is strong that these killers don’t attack randomly; they keep picking the few gun-free zones to do virtually all their attacks…. From last summer’s mass public killers in Santa Barbara and Canada, to the Aurora movie theater shooter, these killers made it abundantly clear in their diaries or on Facebook how they avoided targets where people with guns could stop them…. Case after case occurs where concealed handgun permit holders stop what would have been mass shootings. While many don’t get news coverage because the permit holder prevents people from being killed, some, such as the recent Georgia case, still don’t get coverage even when there are dead bodies. After Charleston, Will America Finally Do Something About Guns? I wish we could eradicate racism and the delusion of white supremacy, but I don’t know how. Is there a difference between setting the church on fire in 1822 and spraying the pews with gunfire nearly two centuries later? The context is vastly altered, of course — today, a multiracial, multicultural city is united in grief. Yet the racist impulse, however diminished, endures. I wish we could better address issues of mental health, too…. What we can do, if we have the will, is make it harder for those who want to kill innocents to obtain firearms. After 20 young children and six adults were massacred at Sandy Hook Elementary School in Newtown, Conn., Congress took up two modest pieces of legislation: a ban on military-style assault weapons, which no hunter needs; and a requirement for universal background checks before buying guns. Both had overwhelming public support. Neither became law.